There is nothing more nostalgic than a metal patio furniture setting overlooking a picturesque garden. A lot of the time, your furniture isn’t what it used to be. 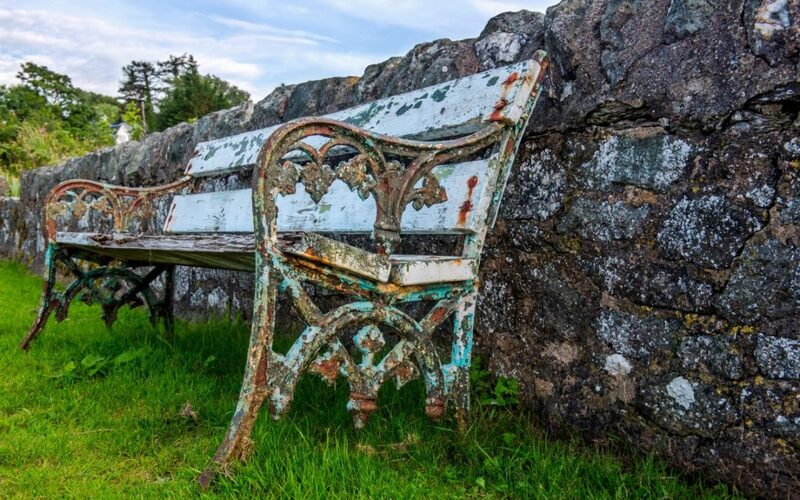 Rust and wear take their toll on metal patio furniture, especially older steel and wrought iron furniture. Today’s modern furniture is a little more rust resistant that their predecessors because they are manufactured with aluminum alloys and specialty iron. But the classic look of your older patio furniture is hard, if not impossible, to find in today’s offerings. What do you do? Refinish of course! 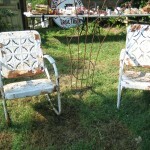 With a little effort, you can restore your old metal patio furniture and return it to its former glory. Alternatively, hunt for a pre-loved outdoor furniture from a yard sale or thrift store and bring it back to life. Either way, by refinishing old metal furniture you can easily reinvent your outdoor living space. 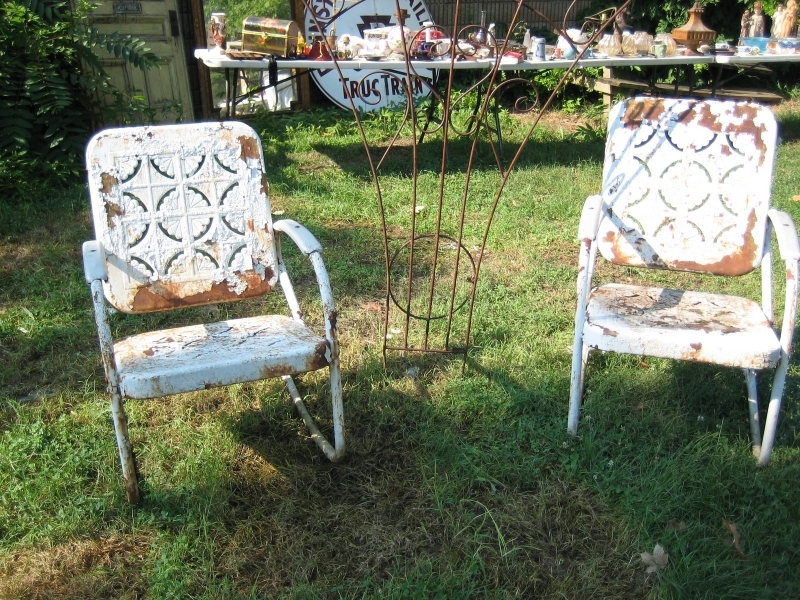 First, using a wire brush or steel wool, remove any rust on your outdoor furniture. Next, you need to purchase a rust dissolving product, such as naval jelly. Naval jelly is a commercial grade rust dissolver available at most hardware stores for approximately $10 a bottle. It is suitable for steel and iron furniture only. Please note that is important to take precautions when working with naval jelly as it contains phosphoric acid. You must wear rubber gloves and protective eye wear. In addition, you need to avoid breathing in the fumes. With your protective gloves and eye wear on, apply the naval jelly thoroughly onto the metal. It will usually need about 10 to 15 minutes to dissolve the rust. Then you simply hose off the dissolved residue with water. Once the metal is dry, you can spray metal primer paint onto the rust free surface. Once again, let the metal dry. Now you can spray your metal furniture with metal spray paint finish. Two coats are usually required for the best finish. For extra protection, you can also spray on a clear coat of metal finish. This is all it takes to restore your old patio setting. Add some stylish patio furniture covers and outdoor cushions and your patio furniture will be the highlight of your patio once again.